Villa Ella Hisaronu. Sleeps 9 - Superb Views. pool and gardens are shared with only four other properties. leads to the ground floor with a football table for extra added fun! 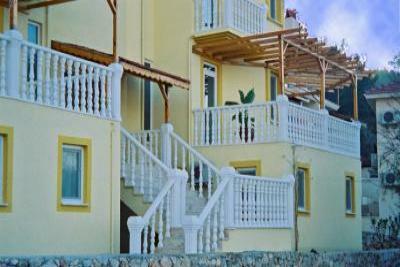 The property and location is very suitable for families and couples. Unfortunately there is no provision for wheelchair access. first aid kit are there for safety. Varied welcome packs can be provided. of vibrant venues offering a variety of entertainment and dancing. traditional dancing or possible fire eating. one of the most photographed beaches on the Mediterranean. the Dolmus or even a taxi. one of the nearby restaurants with your meal. THERE'S SO MUCH TO CHOOSE IN TURKEY! for 10 day holidays etc.